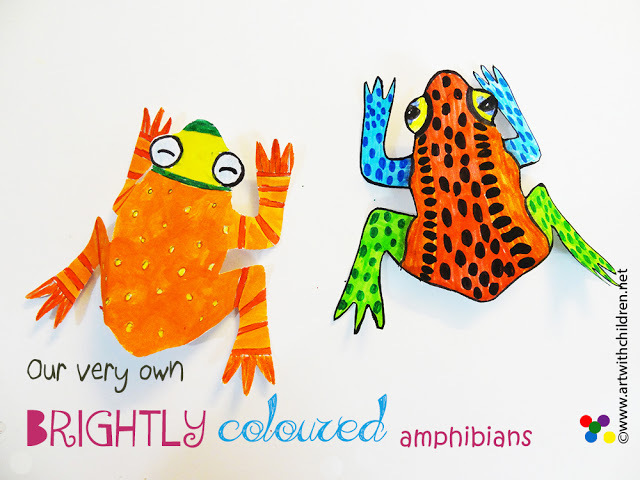 Finishing up our Rainforest themed fortnight, the children viewed various rainforest frogs and discovered interesting facts about their habitat and life cycle.They also had fun creating their versions of colorful frogs! 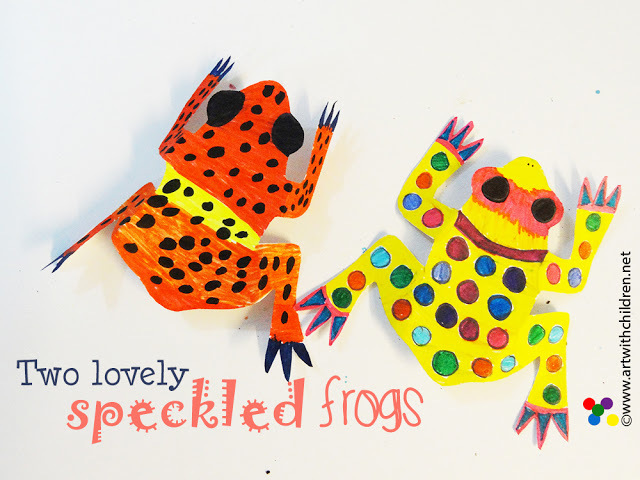 Print our frog template or make your own cutout and enjoy! 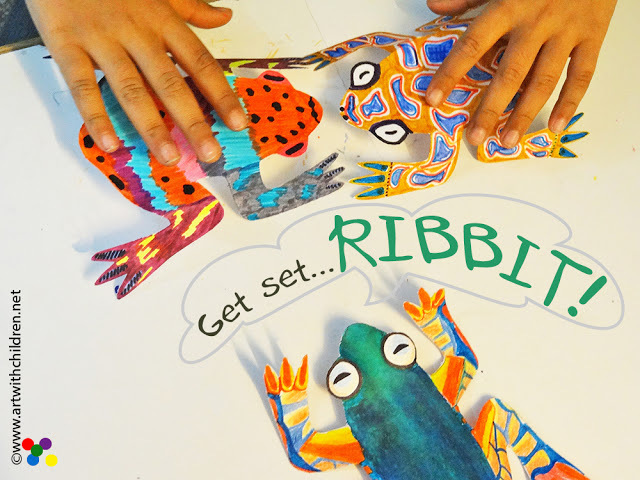 Print our rainforest frog on card stock and let the children choose markers or colored pencils for colouring.